A solid workhorse. The clean tone is round and what you’d expect from a Fender 6L6 powered tube amp. 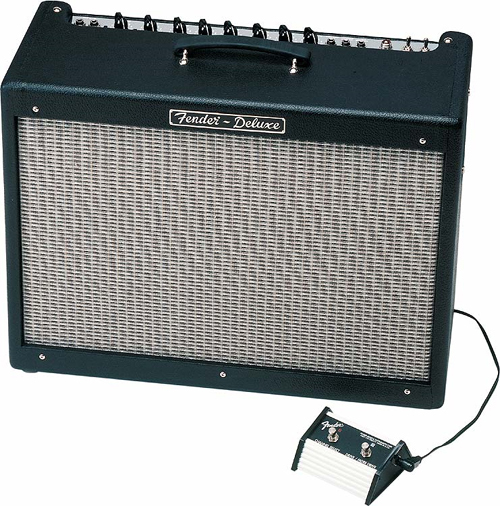 It is much closer to an old narrow panel deluxe than say a ’65 Deluxe Reverb RI. Takes pedals well. The distortion is solid state and is a little gritty and harsh. Nice reverb. It would be nice if the foot switch included reverb. Good amp for the money. The clean sounds much better than any of the handful of sterile and flat mid-heavy Mesas that I own. Mesa engineers should take note of this little sleeper. I have the hot rod deluxe. had about 10-yrs. like brand out of box. used about 5-hours in the ten years I have had it. beautiful shape. not a mark on it. I thought I would use it but not being a musician, I never learned how to set it up. still has the peel off plastic on the label in front. when I say brand new, you have to see it to believe it. I just want to know what its worth. pedal switch never used and instructions & scmatic brand new.